The narrow mouth makes for an easy-breezy drinking experience. 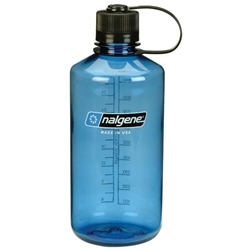 The closure and bottle create a Leakproof system with no o-rings that can fall out. Bottle is dishwasher safe, just make sure the cap does not hit the heating element because if it does it will melt. All Everyday bottles are made with Eastman Tritan and are super durable and resistant to tastes and odors.